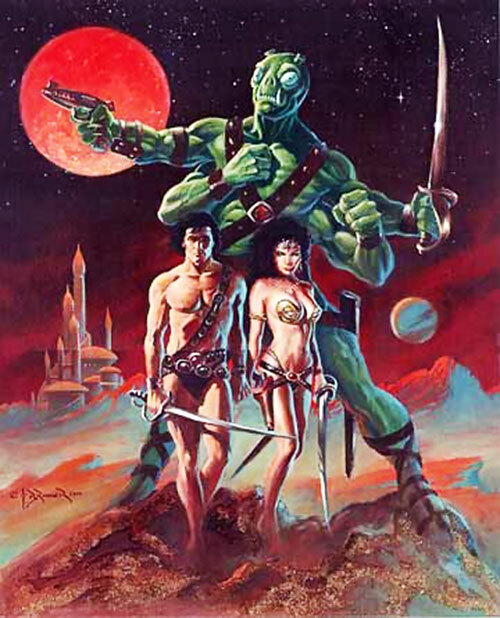 John Carter is one of the foundational pulps characters. He appeared in 1912 under the mightily-muscled, staunchly vital pen of E.R. Burroughs – perhaps best-known as the literary father of Tarzan. The high action Mars series of stories and novels presented a fantastic, exotic setting full of wonders and dangers. It is often considered the “real” beginning of English-language planetary romance stories, and was highly influential on XXth century sci-fi in general. The following notes are chiefly technical. They are intended for people familiar with the stories and who would like to see a good stab at DC Heroes RPG stats. Other Aliases: Dotar Sojat (to the Tharkians); Uncle Jack, Captain Jack Carter (on Earth). Known Relatives: Edgar Rice Burroughs (nephew). Group Affiliation: Tars Tarkas horde and Helium; until 1866, Confederate Army. Base Of Operations: 1866-1876, Planet Mars; prior and later, Virginia. 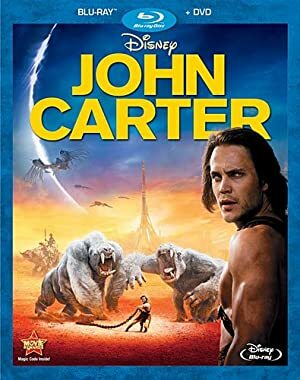 John Carter is a veteran from the American Civil War. Even prior to his Martian travels, Carter seems to have been an immortal. He can’t remember his childhood nor a time he wasn’t in his 30s. On Mars he can jump great distances due to the lower gravity: 40 feet long without effort and 40 feet high with some effort (in DC Heroes RPG terms, a 1 AP push). Furthermore, his combat effectiveness is enhanced. For instance he once killed a green Martian with one punch. Although at first he knew nothing about the Martian society, he was psychically aware that some things were deadly dangerous. With time he learned to tap on the mental powers so common on Mars. Among these, Mind Probe is very rarely developed by non-martians. Earthlings seem to be the exception. John Carter was left without a penny after the end of the Civil War, as he had joined the wrong side. Thus, he started looking for gold in Arizona together with Captain John K. Powell. In 1866, after 3 months of hard work, they found a huge gold-rich quartz vein worth 1 million dollars (a colossal sum back then). Powell was caught by a Native squad and killed. Carter could only escape by hiding on a cave that, unknown to him, belonged to a witch. The Indians fled in horror while the intruder was being held in total paralysis. With a huge effort of will he managed to move again, only to discover he had split his mind from his body. This astral self walked out of the cave and was summoned to the planet Mars. There Carter first met the gigantic, four-armed green men. 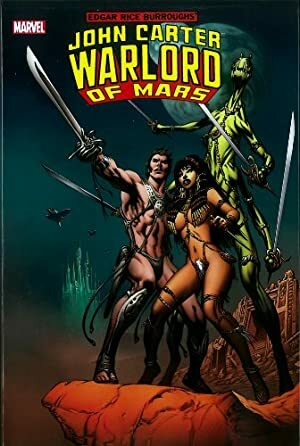 This barbaric race of raiders found his enhanced physical prowess under the lower Martian gravity interesting enough to make John part of the tribe. 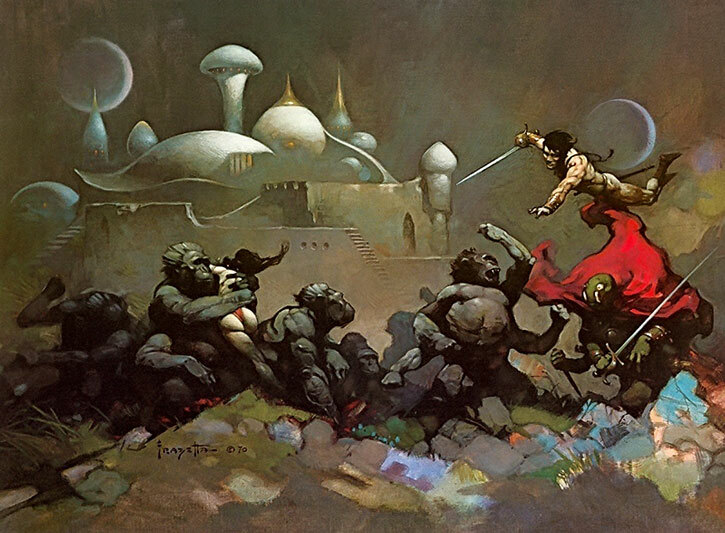 The Human escaped from them with a captive leader of the Human-looking Red Martians, Dejah Thoris. Ms. Thoris was the beautiful princess of the city of Helium, but was soon captured again by forces from a rival Red Martian city, Zodanga. Eventually John managed to rescue Dejah for good. He did so by giving friendly Green Martian Tars Tarkas proper justice and fighting with his great horde against the enemy city. Carter lived in Mars for ten years as a recognized hero for both the Green and Red Martians. He married Dejah Thoris and they somehow had children. John was returned to Earth against his own will while trying to save Mars from suffocation as the reserves of the Air Generator became blocked. 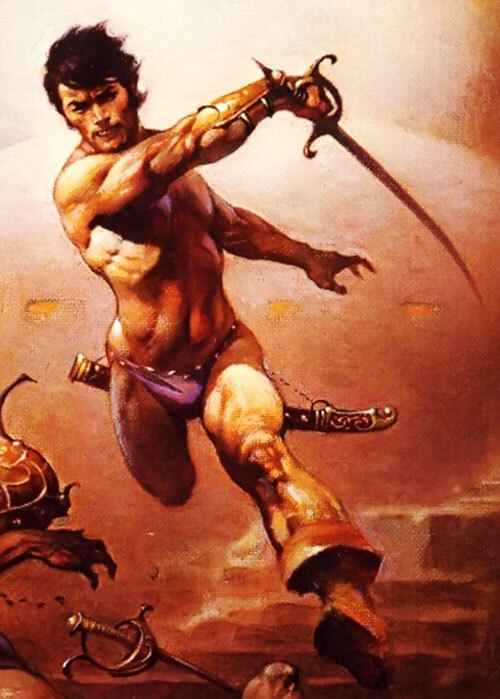 Carter is only described through the eyes of his nephew Edgar Rice Burroughs. E.R. states that his uncle had a handsome face full of determination with light grey eyes which pierced the world around him. He adds that he was a tall, broad shouldered man, and that he used to dress as a Virginian gentleman, including two faithful revolvers. On Mars, he would be scantily clad in the metal ornaments typical of the planet. He would also carry a panoply of weapons, from short swords to lances to gauss rifles, according to the race he is with at the moment. 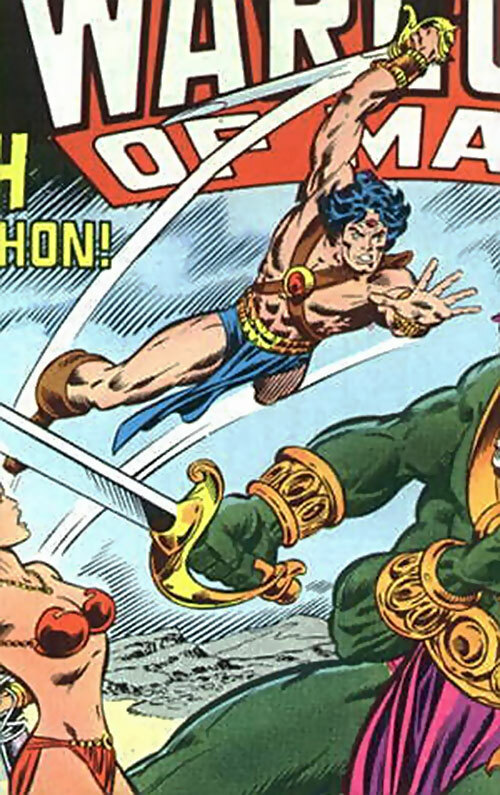 A Virginia gentleman at heart, John Carter is also brave and cunning in battle. He likes to follow whichever rules are set in a community as long as the opponent follows them too, even if not doing so would be profitable to him. He deeply believes in justice and friendship. Although he knows and likes the finer things of life, he is accustomed to be sustained by his own effort. His friends, his wife and his children are the most important thing for him, and he will go to any length to protect them. To fit Carter’s Mars into DC’s continuity would make it a populated planet during most Human history, which has not been the case. Ignore mainstream DC and have a Mars full of alien races (it would be a great discovery for J’onn J’onzz that after his race died other races emerged). Make Carter travel to a Mars in the distant past. 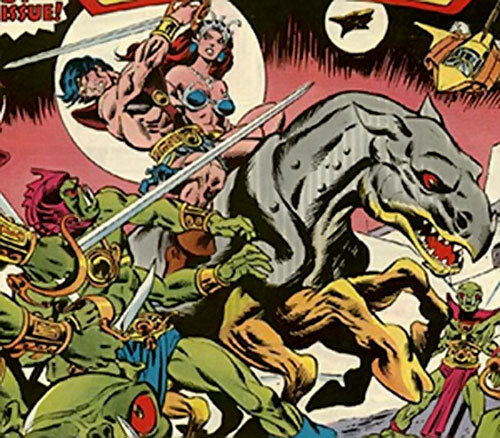 The green martians would then be an early stage of J‘onn’s race while white martian apes could be more violent ancestors of DC’s white martians. Carter’s immortality also helps him a good candidate to share adventures with the Legion of Superheroes. Perhaps at first he would be an enemy to the colonization of Mars. There’s also a theory that tells that depending to the angle you enter Mars, you’ll reach one or another version of the red planet, either Wells’, Burrough’s, Bradbury’s, Ostrander’s or any other Mars, turning it into a nexus of realities. Mind Probe only works on surface thoughts and has a Range of 1 AP (-2). Empathy and Speak with animals are Contingent on Telepathy (-1). Telepathy can’t start mental combat (-1); his Mind Blank interferes with his Telepathy, to the extent that Carter can “receive” but not “send” thoughts (-2). Attractive, Connoisseur, Familiarities (survival (Earth), survival (Mars), Zodanga), Immortal, Language (Martian), Local hero (Thark and Helium), Luck, Pet (Woola), Rank (2nd of Tars Tarkas), Schtick (Helium Airborn Secret), Silent Assistant (Sola), Misc. : knows the code of 9 mental waves that opens and closes all the doors at the Martian Air Generator building (5 pts). Tars Tarkas (High), Kantos Kan (High), Dejah Thoris (High), Helium (High). Dependant (Dejah Thoris), Distinct Appearance (on Mars), Exile (Voluntary), MIA to honorable combat, Loss Vulnerability (Powers only work on Mars), Power Loss (-2 DEX and Martial Artist, out of Mars). Metal ornaments [BODY 04, 1 AP rope with hook]. Revolver (x2)[BODY 04, Projectile weapons: 04, Ammo: 06, R#:2]. Short sword [BODY 05, EV: 04 (07 w/Martial Artist)]. Strange appearance (outside of Mars). Strange appearance (outside of Mars)]. After the end of the american Civil War, John entered a bankruptcy subplot and his Rank (Confederate captain) lost value. During his time with the Green Martians his Wealth was 5 (rough value of the basic weapons he got from them). The character can juice 1 more AP of speed from martian aircrafts. To do so he must spend a whole phase on the attempt, rolling with his Vehicles (Air) skill vs the total APs of speed he tries to achieve. RAPs equate the APs of time he can sustain the augmented speed. John Carter is not a gifted orator, but he knows very well how to speak to an assembly of soldiers. Whenever he wants to Persuade a group of soldiers/warriors appealing the reasons they fight for or proposing a plan that suits their plans, he rolls the check with Military Science (Field Command) as AV/EV. It doesn’t receive any Multi-Attack penalties, and is modified twice: once for the Attitude towards the character, and another one for the Attitude towards the proposed objectives. This approach could also be more standardized with Local Hero (soldiers and warriors) and HP expenditure. Telepathy is repeatedly mentioned as part of the Martian way of communicating, but is never really demonstrated separated of verbal speech. There’s room for arguing it’s just fx for “psychic sensitivity” and the “we all can talk” convention typical of some fiction. 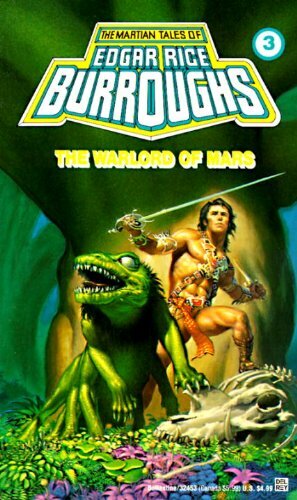 Source of Character: Edgar Rice Burroughs’ A princess of Mars.